Very handy place for this part of Melbourne It is really handy for staying in the Carlton area. Kitchen has stove top, dishwasher. Bathroom has washing machine. Very clean. We had an excellent night receptionist who quickly and efficiently solved our problems with the room's door lock. Clean, Quiet, close to transport. Was further from the CBD than expected. The rooms are small and simple. I like the fact that this is not wasteful and that I am not paying for something I don't want of need. Although simple the quality was excellent, it was clean and had everything we needed. The room was a little cramped and unfortunately no view to speak of, but it was oomfortable and in a great location. Very helpful property. We enjoyed our stay.Nice and clean staff were very friendly. Clean and good value for money. 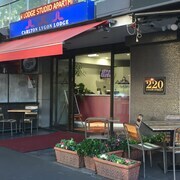 Very close to Lygon st. Need a break from work? 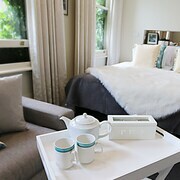 Situated 2 kilometres away from downtown Melbourne, Carlton is an excellent place to base yourself while exploring Victoria's sensational capital. If you're the type of traveller who loves ticking off bucket-list sights, Melbourne will treat you right. An excursion to the Crown Casino and Entertainment Complex, Federation Square and St. Kilda Beach will give you serious travel bragging rights. Roaming around Carlton and its surrounds usually involves visiting the Melbourne Museum and the National Gallery of Victoria. If you're keen to bunk down for the night near the Federation Square, suss out the Crown Towers, Park Hyatt Melbourne, Grand Hyatt Melbourne, The Westin Melbourne and The Langham, Melbourne. You'll be able to stay near the Melbourne Museum at a number of hotels, such as the Docklands Executive Apartments, InterContinental Melbourne The Rialto, Quest Southbank, Clarion Suites Gateway and Crown Metropol. Hear the crowd go wild when enjoying an event at Margaret Court Arena, well-known for providing outstanding music and entertainment. 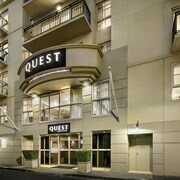 If you're on the lookout for a place to stay close by, the Amity South Yarra Apartments and Quest Prahran are a few tempting options. There is no better place to unwind from a busy day than at Alexandra Gardens. The Art Series - The Cullen and Punthill South Yarra Grand are a few of the most sought-after accommodation options to look into close to here. If you arrive home and you're not slightly scared to check your bank balance, did you even have a holiday? 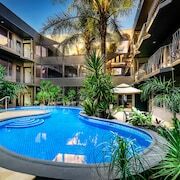 The Rydges on Swanston - Melbourne and Best Western Plus Travel Inn Hotel are worth checking out if you don't mind splashing a few more notes. 'Don't ask me to do anything till I've had my morning coffee'. If this sounds like the type of thing you'd say, you'll be relieved to know that Porcelain Tea Parlour is just a hop, skip and a jump away. Longhorn Saloon is the ideal place to go when the caffeine hit wears off. Offering a delicious menu, the only worry you'll have here is deciding what to order! Having trouble finding the best Carlton hotel deal? 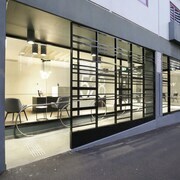 Don't tear your hair out — there are loads of options in Lygon Street and Brunswick Street. Sure, we all love food delivery apps and TV streaming sites, but once in a while you've got to get out of the house! Experience something new on a breathtaking adventure with a little guidance from lastminute.com.au.